While you sneakers started clean and new, they can quickly become dirty as you wear them each day. As long as you take a few precautions, you can make your sneakers clean again. If you are short on time, you can even throw your sneakers in the wash to get them clean. In this article, we’re going to go over how to clean sneakers. We’re going to tell you how to go about washing sneakers, and the best way to wash sneakers. Start by removing the laces on your sneakers. Removing the laces reduces the chances of something becoming torn or tangled as you clean the sneakers. Wash white laces in cold water or a machine to get them clean again. To limit the number of times that you have to clean your sneakers, you should regularly air out your insoles to remove foul odors. Storing the insoles in a box filled with baking soda can also neutralize any bad scents. Suede sneakers are terrible to clean because suede is not supposed to get wet. Make sure you check out our special article about how to clean vans shoes. Your best bet for these sneakers is to get a suede eraser and a brush. The eraser helps to rub out the water spots and stains on the suede. When you have removed the spots, the brush will help to remove any dust from the eraser. Use dish soap and water to clean the outsole and midsole. Wet the sneaker and scrub with a brush. 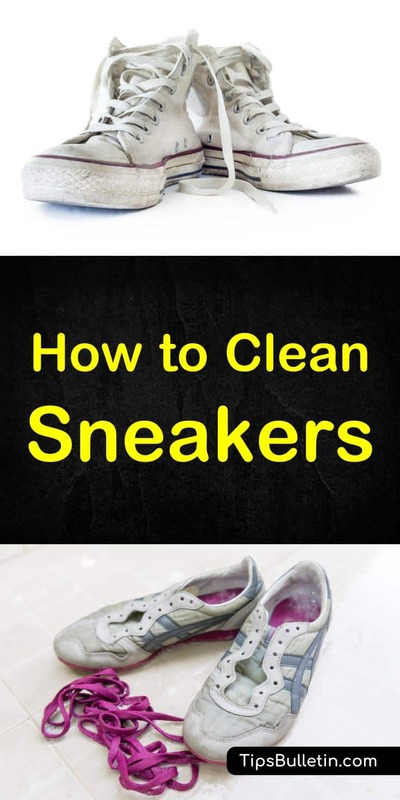 Once it is clean, spray the sneaker down to remove any dirt that remains. Remember to brush in line with the sneakers lines to keep it looking good. You can learn more about how to clean microfiber or microsuede here. Once the outside of the sneaker is clean, you can use a towel dry it or blow-dry it on the cold setting. An alternative method involves removing the laces and washing them in a mesh laundry bag. Handle insoles separately using baking soda. How to wash sneakers in the washer? Like the previous method, you can use soap and water to clean the sneaker, but with a twist: toss it in the washer. Warm water, heavy-duty detergents, and a few towels are all you need. 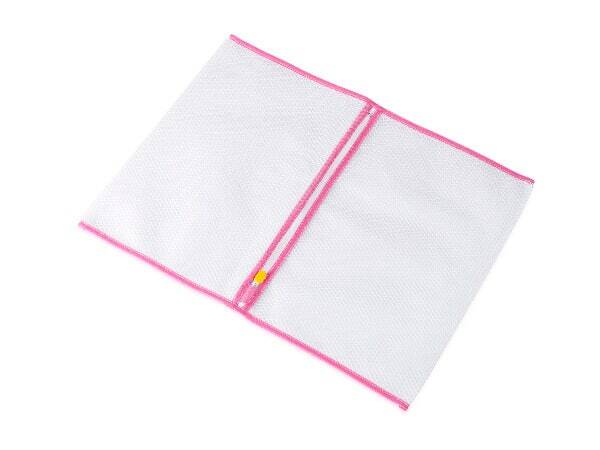 Make sure you put your shoes in a special washing bag for shoes. Similar to when you wash dark clothes, do not wash the sneakers alone, so similarly colored towels can make up the rest of the wash. To prevent the wash from becoming unbalanced, set the speed to a lower level. Handwash new, expensive shoes using the first method to prevent damage. If you are not too worried about minor damage in the washer, then this alternative strategy is much better. Mr. Clean Magic Eraser is also very useful in removing scuff marks. Try a pine oil disinfectant in the wash if you’re worried about athlete’s foot, bacteria or fungus. You do not want to put your sneakers into the clothes dryer on high heat. The highest setting will cause the sneakers to lose all of their shape and support. Instead, air-dry the sneakers in a well-ventilated area. Be careful with this method if your sneakers contain any leather parts. To find out how to clean leather shoes or parts on your sneakers check our special tip. Use the air-dry-only option if you are pushed for time and have to use the dryer. Put white cotton towels inside of the sneakers so that they retain their shape. After they are dry, use black, white or other colors of shoe polish to make them look like new again. Spray canvas shoes with a protective fabric spray to prevent stains from building up. 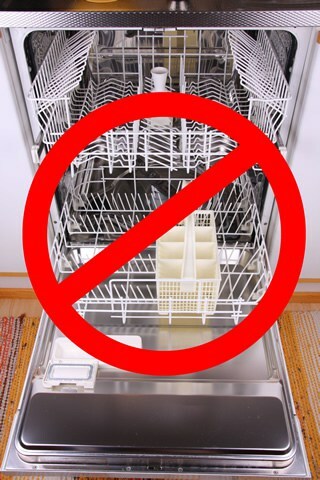 Long ago, someone decided to make a post about washing sneakers in the dishwasher, and it went viral. You do not ever want to do this. Dishwashing soap is too harsh for sneakers and can damage them. Plus, the high heat of the dishwasher can cause the sneakers to lose shape. If anybody of your family should still have used it, please make sure you at least clean your dishwasher thoroughly after. Plastic on the sneakers can melt, which will ruin any hope you had of wearing your sneakers again. While the mechanical spray will remove dirt, it can fade cotton and ruin leather. You better clean leather parts on your sneakers separately and by hand. If you want beautiful, clean sneakers, hand wash the sneakers or use a clothes washer carefully. Using the above methods, you’ll keep your sneakers looking fresh and beautiful every time. 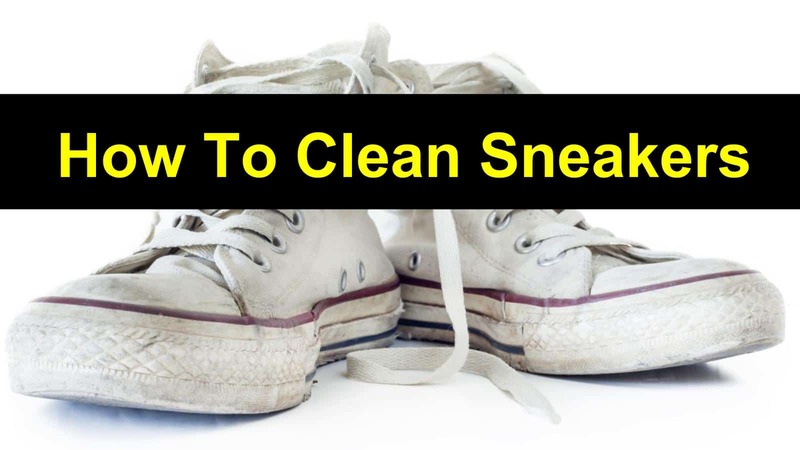 In this article, we went over how to clean sneakers. We covered some tactics for washing sneakers and discussed how to wash sneakers in the dishwasher. Did we leave anything out? Let us know in the comments and use the buttons below to share on Facebook, Pinterest, and Twitter!